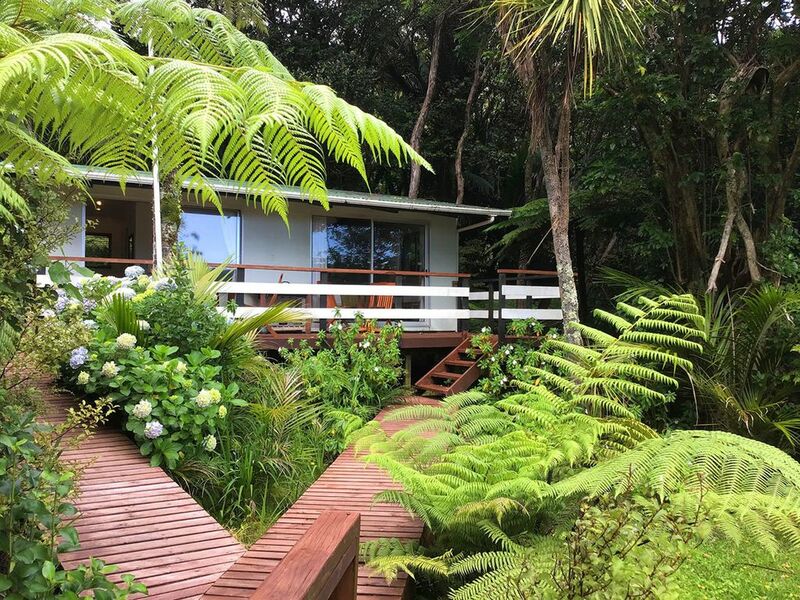 Pigeons Lodge offers boutique accommodation on Great Barrier Island. This is one of our two Self-Contained Studios, seperate from the main lodge. We are conveniently located a short walk around the bay from the ferry landing, or an easy 20 minute drive from the airport. Nestled amongst beautiful Nikau palm bush, running down to the water's edge, with a large deck overlooking Shoal Bay. Kayak or catch a fish from the bottom of the garden. Enjoy fabulous sunset views from our lookout point. Newly finished kitchen, off communal lounge, available for use by guests. Dine in the room, on the sunny deck or come down to the main lodge and use the communal lounge.